HU celebrates Founder for setting and executing the standard of excellence on Founding Day. HAMPTON, Va. -- On an outdoor stage, a half of a dozen doves sat in a closed wooden crate on Easter Sunday. The doves were not visible, but the audience knew they were somewhere near. First, two doves flew out of the crate, then the rest flew out in different directions, white against the blue sky. The audience watched until they disappeared, and soon after gave a standing ovation. This ceremony was fitting for the occasion of Easter Sunday. Hampton University President Dr. William Harvey made a memorable tribute to Hampton University's founder General Samuel Chapman Armstrong on Founding Day. The Easter Sunday service commemorated Armstrong for setting the standard of excellence 150 years ago by opening the doors of Hampton Normal & Agricultural Institute on April 1, 1868, which stands today as Hampton University. This celebration took place at Hampton University's historic Ogden Hall and concluded with a dove release ceremony which was a symbol of adoration for Dr. William R. Harvey's 40 years of leadership and the celebration of 150 years of Hampton University's existence. "Without the resurrection of Jesus celebrated each Easter Sunday, Hampton University would not be what it is today. Armstrong needed the strength he drew from Jesus' resurrection to persevere and follow his vision to found the school. Dr. Harvey would not have survived the challenges he faced as president for 40 years and overcome the obstacles in his and the university's way without the power of the resurrection," said Dr. Michael Battle during his speech. Dr. Harvey invited Dr. Battle to be the ceremony's distinguished guest speaker. Dr. Battle is the provost and executive vice president of the National Underground Railroad Freedom Center in Cincinnati, Ohio. He served as Hampton University's former chaplain for 20 years. Dr. Battle made a tribute to General Armstrong in his sermon that tied together the three events that happened on this important day. Dr. Harvey expressed the gratitude he has for Gen. Armstrong for giving African Americans an opportunity to get an education. His vision was to train selected African American youth to go out and teach and lead their people by being an example to the African American community. Armstrong wanted to build skilled and educated individuals, but he also made it clear that he wanted to build character. "There were two things he wanted people associated with his institution to possess which are strong academics and good character. Of the two, General Armstrong thought character was more important. These things were not only important in 1868, but in 2018 they may be even more important. I want Hampton University faculty staff, students and alumni to emulate General Armstrong's wishes and demonstrate honesty, integrity, responsible behavior and trust in their personal and professional lives," Dr. Harvey said. Students enjoyed the program because they got a better understanding of the founder and why Hampton University stresses the two principles of strong academics and good character. "I enjoyed learning about General Armstrong on a personal level," said Hampton University student Megan Napier. "Now, I have a great understanding of why this university stresses the importance of providing great academics and building students' characters." Student leaders expressed gratitude towards President William R. Harvey for continuing founder General Samuel Armstrong's legacy. "President Harvey has done a wonderful job of carrying the torch and continuing to exemplify the standard of excellence that General Armstrong set on April 1st, 1868," said Student Government Association President Martha Baye. "Jared Bourke, Student Government Association vice president, and I wanted to release doves on behalf of SGA to represent 40 years of outstanding service and the commitment to always give back and return home." The air was thick with Jheri Curl activator fumes and Jovan Musk cologne. Kool and the Gang were singing about a "Celebration" and U.S. President Ronald Reagan had just taken office. For a young Jamaican immigrant, 1981 was the beginning of the American dream and a continuation of a love affair with music. 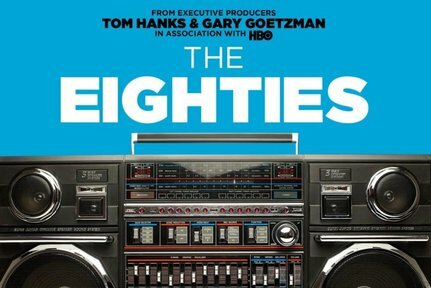 This season, CNN's "The Eighties" series directed by Tom Hanks, has resonated with many so-called Generation X and Baby Boomer-age citizens. The decade was a period of tumultuous change in music, mass media and global politics. For Paul Beecher, 1980s America was a wish come true. "We would sit on the porch and watch American television, dreaming about America," he said. "We had it nice, my father was the superintendent of prisons and my mother was a preacher, but everything in America was way bigger than we could imagine." Shows that aired during his childhood like "Leave it to Beaver" and "Mr. Ed" showed American people living the life that most Jamaican families prayed for. Paul Beecher – father of this writer – and his five siblings lived well above the average family in Jamaica, but they dreamed of something even larger; they dreamed of America. In the states, Paul was in heaven. He loved the women, the Afros, and the opportunity. After immigrating to America in the late '70s, Paul settled in Georgia. Over the years most of his family would eventually leave their Caribbean island and settle here as well. There was so much in America for him to experience and none of it was what he came to this country for. "I came to America to study medicine, then I changed my major to computers," said Paul. He never finished either course of study, because Paul dropped out of college in the spring semester of his senior year. Paul couldn't afford it anymore and something else was calling his name. Music. Paul had a long history of forgoing his responsibilities for his love of music. In his home country of Jamaica, he would steal the family car and sneak out at night to DJ parties in the local cities and get his siblings in trouble as they tried to cover for him. Now, in a new country, he had absolute freedom to pursue his passion. "Rap started in Jamaica in the '60s and '70s," he said. "That little story about how it all began in New York isn't all the way true. If it was, I wouldn't be here right now." Paul was referring to the Jamaican tradition of toasting, where club DJs would recite rhymes and chants over breaks in reggae records. This party style originated in the 1960s Jamaica and most of hip hop's most influential pioneers were Jamaican immigrants who added some American style to the Jamaican party trend. Houston, Texas in the 1980s was the perfect place for Paul to explore this budding world combining American hip hop and reggae music. After leaving school, and making sure that his older sisters were settled in Georgia, Paul moved to Texas to continue following his dreams of music. "It was easy back then," he said, "to pick up your life and start over. There was just so much opportunity and everyone was so willing to help out a brother or a sister." Paul got a job at a local listener-funded radio station and it was in 1984 that DJ Paul Mellotone was born. DJ Mellotone hit the airwaves on station 90.1 KPFT in the Houston metropolitan area. The late-night reggae show was one of the first in the city and the usually mainstream airwaves now had a Caribbean flavor. "In the '80s reggae was the thing," said Shirley Brooks, a Houston native who recalls listening to Paul's nightly radio show. 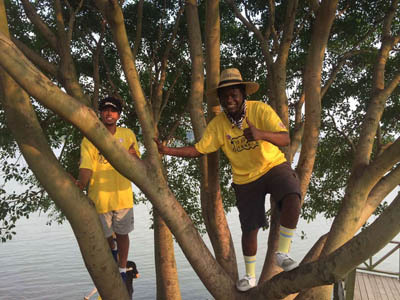 "Everybody, white, black, Asian, Hispanic; it didn't matter, was jamming to reggae music. It brought people together." Tropical fever had hit Houston, hard. What's now the fourth most-populous U.S. city known for country music, rodeos, and oil wells had been taken over by an island wave. Reggae artists from across the world were coming to Houston performing to packed crowds in sold-out venues that American artists couldn't dream of performing in. "There was place called Caribana in Rice Village that would be full of people every night," said Nina Giles, a former Houston resident. "The drinks were cheap and the music was good, so I went basically every time those doors opened. It was just something about the '80s we had real fun, you know." Paul was ready to monetize this fun. He was noticing how powerful music was in the '80s and he was ready to capitalize. Nightclubs were booming, but a key slice of Houston's demographic was without a place to party. "There was no place for blacks to go, most people had these little hole in the walls that couldn't fit more than 20 people and they were cramming eighty sweaty bodies in there," Paul said. Blacks just weren't owning the nightlife like the other races. There were huge night clubs in Houston. They all had a specific niche market and most of them were striving to be like the mega clubs in New York. Numbers, Riches, and the Paragon were some of the most historic '80s spots in Houston. But racism and classism kept some people locked out of the fun. Paul joined Jamaica Jamaica as co-owner in 1987. Patrick Gillies another Jamaican immigrant, had started the club a few years earlier as a place for reggae music to cater to a black audience. "We wanted people to jam, be here and not worry about a thing, and we were ready to bring the real island flavor to the city," said Paul. The nightclub was packed every night and reggae's biggest names graced the stage: Jimmy Cliff, Gregory Isaacs, and Third World all performed in the nightclub tucked away in the middle of a strip shopping center in Houston's Kirby District of Houston. "The line for Jamaica Jamaica would be around the block," said Shirley Brooks "Everybody wanted to be there. 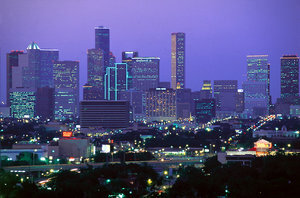 Celebrities would be passing through Houston and had to stop at the club." As the 1980s closed out and made way for the new generation of club kids in the '90s, Paul Beecher's legacy was able to live on. The former medical student who dropped out of college just shy of graduation was able to ride the island wave to success in Houston. The '80's was a perfect storm of good music, good fun, and good vibes. Paul Beecher found a way to use all of those make a name for himself in a foreign country and cement his history in 1980s Houston. As CNN airs the television special, "The Eighties," on Thursdays, Director Tom Hanks resurrectsnostalgia of '80s babies all around the world. During the early portions of "The Eighties," cable television appeared in millions of homes across the nation. Under the guidance of billionaire Ted Turner, Turner Network was established creating numerous networks such as CNN, TNT, and TBS. Van Dora Williams, a Hampton University associate professor, believes CNN was a true groundbreaker in the cable industry: "With the introduction of CNN came the introduction of 24-hour news," she said. "CNN showed different coverage in comparison of the three main networks." Within the first few years, CNN made groundbreaking achievements before establishment networks ABC, CBS, and NBC. On March 30, 1981, then-President Ronald Reagan was shot outside of the Washington Hilton Hotel. Press Secretary James Brady was critically wounded in the shooting and taken to a nearby hospital. Some news networks were quick to declare Brady dead, but not the upstart cable network. CNN anchorman Bernard Shaw said that the sources that gave the other news were "the same as ours." Like CNN, other news organizations have made an impact in the news world. The creation of USA Today made nationwide news as Gannett and founder Al Neuharth launched the newspaper on Sept. 15, 1982. By 1984, daily editions of USA Today were the second-leading newspaper behind the New York Times, circulating 1.4 million issues daily. USA Today's breakout issue was in 1988 advertising Super Bowl XXII. 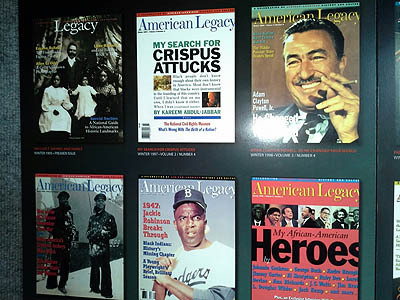 The issue covered over 44 pages and sold over 2.4 million issues nationwide. Currently, USA Today is stationed in Tysons Corner, Virginia along with its parent company Gannett. Just as news dominated cable television, so have television programs. Among the big three networks, NBC made some of the largest splashes on television as David Letterman made his debut in 1982 hosting "Late Night" that followed Johnny Carson's the "Tonight Show." Another show that took America by storm was "The Cosby Show." The sitcom, which was directed by Bill Cosby, ran for eight seasons running for an average of 25 episodes each year. In the next several years, other shows such as "The Golden Girls," "Cheers" and other sitcoms rose to primetime prominence. The rise of movies was also a notable feat during 1980s as several titles such as "E.T. : The Extraterrestrial" won four Oscars and a Golden Globe in different categories. "The '80s was known as the Sci-Fi age to many people," said Kenneth Wells of Northern Virginia, the father of this writer. "The Terminator," featuring Arnold Schwarzenegger, was a high-grossing movie that gained $34 million from box-office sales. One of the most famous directors of '80s that made early success in his movies was Spike Lee. In 1983, Lee produced his first movie "Joe's Bed-Stuy Barbershop: We Cut Heads" as his senior thesis in college. Lee would produce different works such as "School Daze" (1988) and "Do the Right Thing (1989). "Lee was only getting started," said Wells. "Looking at his early movies showed that he bound for great things." Music was on a rise in the '80s as the introduction of MTV was exposed to cable television. On Aug. 1, 1981, Music Television or MTV launched on cable and became one of the first 24-hour music stations. Montess Wells, schoolteacher and mother of the writer, remembers MTV as "great exposure" for young artists, she said. Some musicians and groups Montess remembers are Michael Jackson, Public Enemy, and Afrika Bambaataa as early favorites of MTV. The 1980s was known as an expansion for cable television across the United States. From the creation of CNN to the revival of primetime sitcoms, the 1980s will be forever remembered as a decade of change. The 34th Annual Black Family Conference incorporated its theme, "Roots & Wings: The Road to the Future Runs through the Past," into a panel discussion based on this year's selected read-in book, "The Immortal Life of Henrietta Lacks," by Rebecca Skloot. Panelists included Denise Motley Johnston, human resources director for recruitment at Duke University; Karima Jeffery, associate professor in Hampton University's English Department; Fredda Bryan, breast cancer survivor with the American Cancer Society; and Phill Branch, assistant professor of English and Cinema Studies at HU. 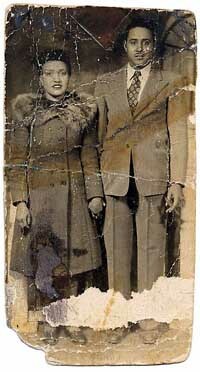 "The Immortal Life of Henrietta Lacks" is based on a poor black tobacco farmer, whose cells were taken without her knowledge or consent in 1951. This book tells the story of the collision between ethics, race, and medicine. Johnston used the acronym R.E.A.D.Y to place the book into different categories: Respect, Ethics, Acknowledgement, Dignity, and the ability to say "yes," she said, are all important factors that individuals should taken into consideration before allowing one to conduct research. "Where is our voice in research projects?" said Bryan, regarding the necessity and importance of being involved in your medical process. "What is meant for good can be turned into bad and ugly." Although HeLa – Lack's cells – became one of the most important tools in medicine, she remains virtually unknown and her family can't afford health insurance. According to Branch, if this story was written by a black woman, the content would be same yet the publishing would have been different and her story wouldn't have been heard.